"She was never the demure lady who was afraid of getting her petticoat dirty. He was never the calm and collected lad who coddled her. What had started as friendship had evolved into something quite tangible . . ." A lady always hopes that the man she falls in love with will sweep her off her feet in a dramatic and graceful way. Well, for Grace Iverson, at least it was dramatic. Her childhood best friend, Gavin Kingston-now His Grace, the Duke of Huntsman-is still just as clumsy as ever. Despite their painful separation as children, a chance encounter has offered them a second opportunity for happiness. But after ten years apart, they both carry hidden scars. Trust takes time. And soon, forces from the past threaten to destroy the love they both have hoped for all of their lives. Can Grace's best friend break down her emotional fortress and prove his love before she disappears from his life a second time? 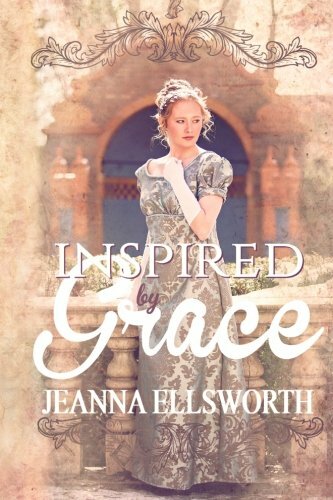 This lovely Regency romance started well before either of them knew what they wished for in a partner; but it will surely be one that stands the test of time.